In part one of Understanding the Nature of Your Dreams, I outlined an exercise that can be used in order to remember your dreams more effectively. Now, in this second part, I would like to detail the way to create a lucid dream and a couple of ways to use them. You will be asleep (after performing your notebook-related ‘ritual’) and suddenly something unusual will occur. You may be performing any action within you dream. While this is happening, it will dawn on you that you are now within a dream! At that point, you will recall that you should look for your hands. So, you will bring your hands (in a fully “conscious” manner) in front of your face. But then, as you look at your hands, they will become ‘blurry”. When this happens, you should look away for a moment and then look back at your hands. They should now be in focus once more. At this point, you will have the ability to do whatever you wish within your dream. Depending on the situation that you find yourself in, you can act accordingly. One of the two most interesting things that you can do is to speak to a “person” in that dream. Ask that “person” if they knew that you are in a dream. In most cases, they will answer in the affirmative. That’s because you are actually speaking to yourself (or rather, your subconscious). The other highly interesting thing that you can do is to “fly”. Here, you will notice that the “height” that you can achieve will depend on the amount of your metaphysical energy. But that’s a subject for another time. One of the more humorous things that people tend to do, in this situation, is to excitedly talk to “others”. They will attempt to point out their excitement regarding their newfound ability to fly. That’s because they forget that they’re talking to themselves! Later, you may discover that there can be a number of sleep sessions in which you won’t be able to lucid dream. However, that’s quite normal. Becoming adept at this is definitely a matter of practice. 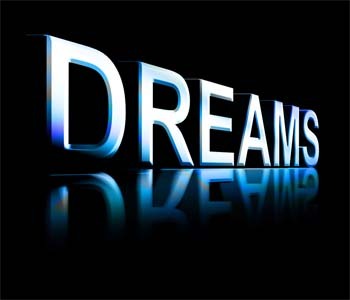 Ultimately, the goals of this form of dreaming are many. For instance, it can be used to deal with troubling subconscious “issues” that you may have. It can also be used to communicate with Universal Energy and potential entities that exist outside our normal realm of “reality”. As you become more adept at working with metaphysical concepts, you will find more ways that you can employ this facility.